Allah Ta‘ala has declared the Sahaabah (radhiyallahu ‘anhum) as those who are truly worthy of being followed and taken as role models. 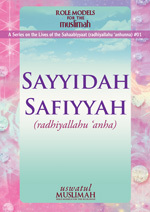 In order to acquaint the Muslim women of this age with the lives of the Sahaabiyyaat (radhiyallahu ‘anhunna) so that they may take guidance from their exemplary lives and choose these illustrious and pure women as their role models, Uswatul Muslimah (Role Models for the Muslimah) regularly conducts programmes on the lives of the Sahaabiyyaat (radhiyallahu ‘anhunna), highlighting pertinent lessons that are applicable to our daily lives. This eBook is a transcript of the programme that was conducted on the pure life of our beloved mother, the honourable wife of Rasulullah (sallallahu ‘alaihi wasallam), Sayyidah Safiyyah (radhiyallahu ‘anha). Throughout the centuries, the Muslim Ummah has always been blessed with phenomenal women who were the saints of their time. These unique women were blessed with such outstanding qualities that their lives continue to serve as inspiration and guidance for us all. 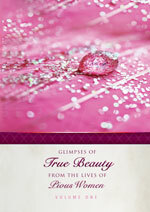 Filled with incidents of such women, this compilation gives us a glimpse into their lives and highlights the true beauty which they possessed – the beauty of the soul. 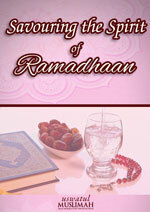 Allah Ta‘ala, in His infinite mercy has provided us with a great opportunity – the blessed month of Ramadhaan. From abstaining from food, drink and relations during the day to standing in salaah at night, every aspect of this blessed month is ‘custom designed’ to assist us to enjoy some ‘me-and-Allah’ time so that we can cut off from our distractions and reconnect with our Creator. The secret to making the most of this sacred month is for one to enter the month prepared – especially mentally – so that the moment the moon is sighted, we ‘hit the ground running’ (get off to a good start). 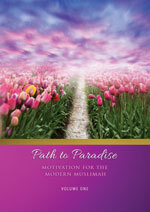 In this regard, the aspect of having the correct mind-set and focus cannot be stressed and emphasized sufficiently. When a person’s focus is correct and they have a goal in mind, they not only make the most of the opportunity provided, but even enjoy it and take pleasure in it. Exercising is exhausting, yet certain people do it day after day and relish the activity and exertion. The reason? … They are focused on the end result and know that the effort is worth it.